LAHORE: (Thursday, April 12, 2018): Punjab University Institute of Applied Psychology (IAP) organized an awareness seminar on “Drug Addiction among Youth” here on Thursday. 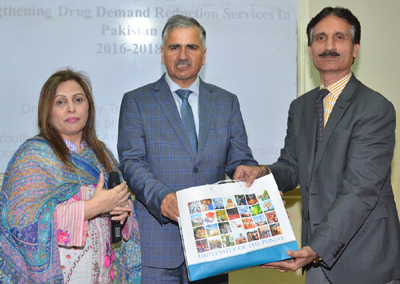 Consultant Anti-Drug/Narcotics Campaign & Director, Drug Advisory Training Hub (DATH) Syed Zulfiqar Hussain was the resource person while the program conducted by Ms. Shahnila Tariq from IAP. 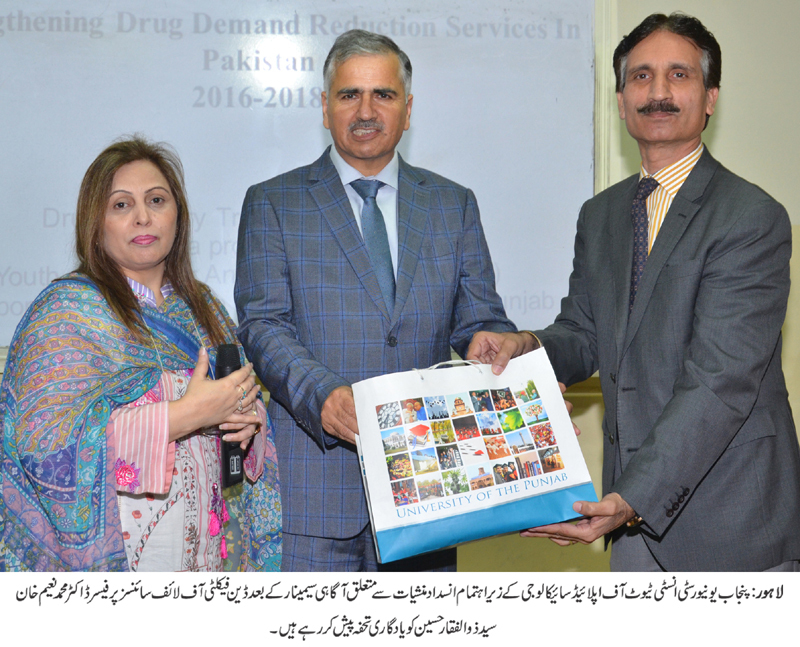 Dean faculty of Life Sciences Prof Dr Muhammad Naeem Khan, Director Institute of Applied Psychology Prof Dr Farah Malik, faculty members and students were present on the occasion. Dr Muhammad Naeem Khan and others highlighted the issues of drugs among youth and need of enhancing awareness in community for its prevention.